New York is a place that has so much to offer, from the fashion shows and the art scene to the museums and Central Park. 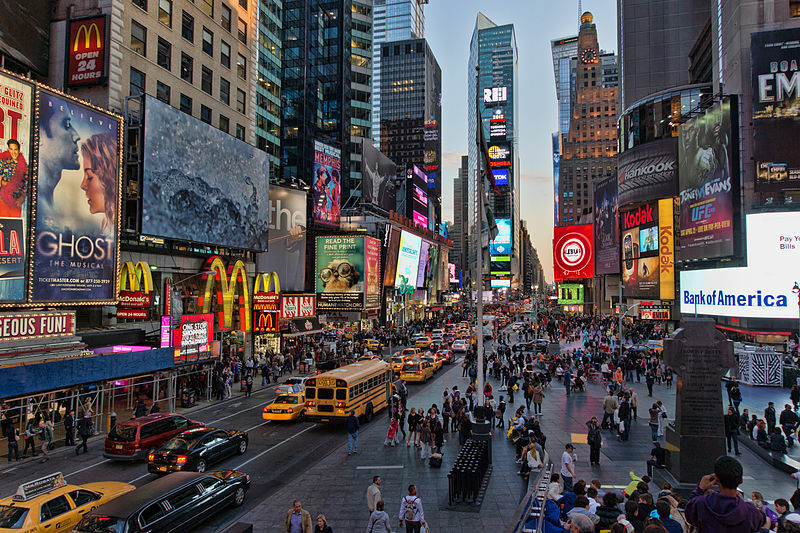 However, one thing that most people want to do while they are in NYC is see one of the famous Broadway shows. But, with so many different shows to choose from, how do you narrow down your search? Read on to discover more about some of the most famous Broadway shows to see while visiting the place where dreams are made of. Hamilton - There is only one place to begin, and this is with Hamilton, a revolutionary musical that gives a fascinating and incredible salute to America’s immigrants. Offering a great mixture of nimble wit and political passion, which is blended with a use of R&B, hip-hop, and rap makes this show one of a kind. You will struggle to find any negative comments about it online. Jersey Boys - If you’re from New Jersey, this will, no doubt, already be top of your list. However, no matter where in the world you originate, this is a show that will have you singing along and clapping your hands throughout. The story tells the musical history of Frankie Valli and the Four Seasons. The show is fast-paced and it is almost completely told through music. The Book of Mormon - Another unique type of show in New York, which is a modern religious satire. It was created by the creators of South Park, which should give you an idea regarding the sort of humor to expect. The show has been a huge success, winning the Tony Award for the Best Musical in 2011, and its popularity has never dwindled since. While it is a funny show, it does tackle some very serious issues, including AIDs, famine, and faith, yet it does it through hilarious songs. Wicked - Wicked is a great show for the entire family to see while visiting New York. The show is a unique take on The Wizard of Oz, telling the story of Galinda, who is the Good Witch, and of Elphaba, which is the Wicked Witch of the West. You may be wondering where Dorothy is, but this is about before she arrives on the scene. Wicked, the musical, has also won many awards, including a massive ten Tony Awards. This includes the award for Best Musical in 2004. It’s crazy to think that it is now 2018 and it still attracts so many people. So there you have it: some of the most famous shows that are worth seeing while you are in New York. If the suggestions that have been mentioned above do not sound like your cup of tea, don’t worry, as there are so many different options for you to choose from. Some other shows that have received fabulous reviews include. We love NYC so many places to explore and enjoy with. We are 12 hours away we where there last Thanks giving week. Hoping to visit any time soon. NYC is one of my favorite places to visit! It's so magical! I agree NYC is very busy city but so much things to do there day and night. I live about 5 hours away from NYC, and have never been there! This would be a great guide for anyone heading there. I have never been to NY. I'll be on a business trip next week, hope I will have enough time to visit NYC.